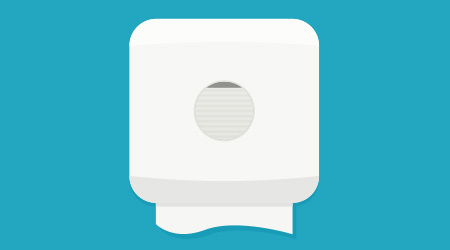 This is the first part of a two-part article on what BSCs will see at ISSA/INTERCLEAN 2015. Building Service Contractors will once again find Las Vegas to be a place of new products and old friends, as the city hosts ISSA/INTERCLEAN 2015. Much like the last time the cleaning industry descended on Las Vegas in 2013, ISSA is expecting a record turnout for ISSA/INTERCLEAN North America 2015, taking place Oct. 20 to 23, at the Las Vegas Convention Center. An estimated 16,000-plus industry leaders will have the opportunity to network, learn and visit with more than 700 cleaning industry suppliers from 30 countries. “ISSA/INTERCLEAN North America is the only trade show where executives come together from all segments of the jan/san industry to do business and gather information to better manage their companies,” says Rosie Rangel, ISSA director of industry outreach. Dubbed the “The One Show for Facility Solutions,” since it is the one show where the entire industry comes together, ISSA/INTERCLEAN North America 2015 will include four different co-located events by industry associations. Cohosting their annual conventions again this year in conjunction with ISSA/INTERCLEAN are Building Service Contractors Association International (BSCAI), which is celebrating its 50th anniversary, IEHA, Association of Residential Cleaning Services International (ARCSI) and Cleaning Equipment Trade Association (CETA). 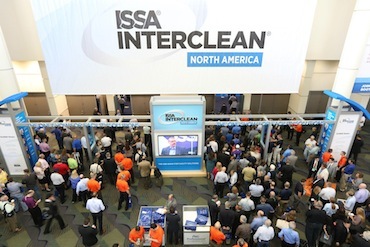 “ISSA/INTERCLEAN is the one show that brings the industry together to reconnect with acquaintances, stay informed on industry trends and regulations, and revitalize our business approach with smarter solutions to real-world challenges,” says Rangel. The 50 educational seminars and workshops presented throughout the four-day exhibition will cover a wide variety of topics and will give attendees timely information on career development. One particularly hot topic that will be discussed in great detail at this year’s show is infection control. “With the recent outbreaks of deadly and infectious diseases, such as Ebola, over the past year or so, cleaning industry professionals are very interested in learning about the role they can play in infection prevention, so the educational lineup will include information about cleaning for infection control,” says Rangel. Attendees will have several different educational tracks to choose from this year, including facility management, sales and marketing, social media and technology, strategy and leadership, sustainability and safety, and workforce development. Other educational opportunities include hands-on workshops and certification programs. The show floor, open Wednesday through Friday, has a new addition this year — an outdoor exhibit area. Attendees can take advantage of the beautiful Las Vegas weather and step outside to check out new and exciting product demonstrations, connect with the people behind each brand, enjoy great food, and enter to win exciting raffle prizes. The outdoor exhibit space will also be part of the Show Floor Happy Hour from 4 p.m. to 5 p.m. on Thursday, Oct. 22. This year’s 2015 ISSA Innovation Award Program has 38 different products grouped into five different categories — cleaning agents, dispensers, equipment, services and technology, and supplies. The winners will be announced on Friday, Oct. 23 during the ISSA Excellence Awards Luncheon. Voting is open until Oct. 16 at www.issa.com/vote.